Aldwych is a one-way street and also the name of the area immediately surrounding the street, in the City of Westminster in London. The short street is situated 0.6 miles (1 km) north-east of Charing Cross and forms part of the A4 route from London to Avonmouth, Bristol. The Aldwych area forms part of the Northbank business improvement district. It is known for a number of notable sites and for giving its name to a closed Underground station nearby, which has been used as a filming location in numerous films and television shows. Here's the our members favorite photos of "Famous Streets near City of Westminster". 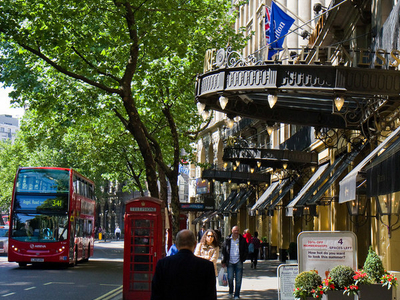 Upload your photo of Aldwych!